If you like Italian Sausage and Pepperoni our handmade original recipe Ultimate Combo pizza is for you. And this pizza really does have an ultimate amount of Meat on it: spicy Italian sausage and bold pepperoni combined with our secret pizza sauce recipe. All topped with our whole milk cheese blend. (Pasteurized Milk, Cheese Cultures, Salt, Enzymes), White Cheddar Cheese (Pasteurized Milk, Cheese Cultures, Salt, Enzymes), ALL NATURAL FULLY COOKED ITALIAN SAUSAGE: *Minimally Processed, No Artificial Ingredients, Pork, Spices, Water, Salt, Sugar, Garlic, Paprika, Natural Flavor, UNCURED PEPPERONI: No Nitrites or Nitrates added except for those naturally occurring in celery juice powder and sea salt, Pork, Beef, Salt, Spices, Celery Juice Powder, Cane Sugar, Lactic Acid Starter Culture, Natural Flavorings, Natural Spice Extractives, Oleoresin and/or Extractives of Paprika. May contain Water. 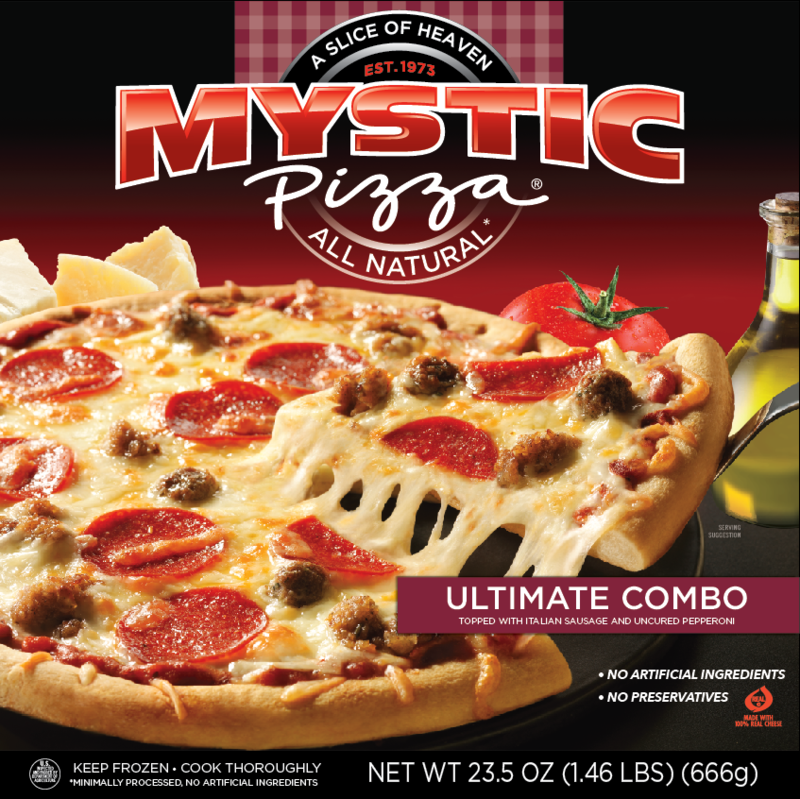 © 2014 Mystic Pizza Food Company.